You’ve made it! All your diligent financial planning, spending less than you earn, and investing has finally paid off. You’ve reached retirement with a nest egg spread out across several retirement accounts. It is time to kick back and enjoy your decades of hard work. As nice as it is to kick back, you must also be careful to not drop the ball at this important phase of retirement. 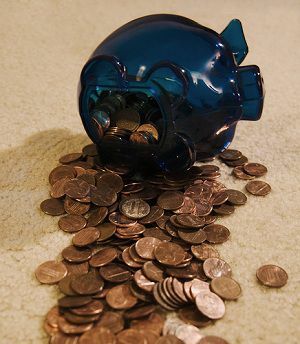 There is money to be saved by withdrawing from your retirement accounts in the best order. What retirement accounts you have, e.g., 401(k), IRA, etc. When to Start Withdrawing from Your Retirement Plans? As a general rule, the longer you can wait to tap your tax-advantaged accounts like 401(k) plans and IRAs, the better. The longer you can give these accounts time to grow with that tax advantage, the larger your nest egg will be. However, when the right time is for your specific situations depends on multiple factors. You can put off withdrawing from your 401(k) until age 70 and 1/2 when the required minimum distributions kick in? If you wait to retire after that age, RMDs kick in as soon as you retire. Is your portfolio big enough that you can afford to wait to withdraw from your retirement accounts? If not, you have no option but to begin withdrawals now. Additionally, if you want to avoid paying a 10% early withdrawal penalty, you must be at least age 59 and 1/2 to take withdrawals from your 401(k) and IRAs. TIP: Wait until you can make penalty-free withdrawal before you start taking money out of your retirement plans. A significant factor to consider is whether or not you have other sources of income. Can you keep your “retired” designation while still working a part-time job to offset some of your living costs? Does Social Security offset a big chunk of your costs or is it just a drop in the bucket? A pension is another source of income that can help you reduce your annual withdrawals from your retirement plans or delay them several years. The longer you can delay tapping your retirement funds, the better chance you have of successfully living your retirement the way you had planned. TIP: Take advantage of all sources of income before tapping your retirement accounts. Roth vs. Traditional Accounts, Which One to Withdraw First? If you anticipate that you will have a high taxable income, then you should withdraw from your Roth 401(k) or IRA first so that you can avoid paying taxes at higher tax rates. If you anticipate that you will have a low taxable income, then you should withdraw from your Traditional accounts first. You pay some taxes now, but you save your Roth accounts for the year where you will have high taxable income. What is considered a high taxable income? There is no right answer either, because it really depends on your wealth and the lifestyle you are used to. In general, the answer is an income that will put you above the 15% tax bracket. If you don’t know how Roth and Traditional retirement accounts differ, be sure to read about the real difference between a Roth and a Traditional retirement accounts. Withdraw from Roth retirement accounts when you anticipate to be in a high tax bracket (e.g., above 15%); otherwise, take money out from your Traditional retirement accounts first. How is Your Portfolio Set Up? When you pull money out of your retirement accounts, there are two important factors to consider: transaction fees and impact to your asset allocation. In general, you want to minimize transaction fees and sell toward your desired asset allocation. Avoid selling investments that have a redemption fee, especially, when the fee is waive after a set period of time. Avoid selling small batches of assets and having to pay trading fees repeatedly. You might be better off selling a larger chunk at a time and leave the money sitting in your account as cash. Avoid selling multiple assets and having to pay for many transactions instead of one. As you get older you will want to adjust your asset allocation away from volatile stock investments and more toward stable income assets, such as bonds. If your retirement accounts are made up primarily of stock mutual funds, you would want to pull from there first as you enter retirement to help balance out your asset allocation. Likewise if your portfolio consists of stable value or bond funds, you can wait until your required minimum distributions kick in to begin withdrawals. Sell investments that no longer fits into your asset allocation plan, and thus automatically moving you toward the desired allocation. For 401(k), 403(b), and Traditional IRA accounts you are required to take minimum distributions starting at age 70 and 1/2. Your Roth accounts can be held and passed on to your estate without ever taking a distribution (see below). Your required minimum distribution is factored in on your age and a life expectancy calculation provided by the IRS. For example, an individual that turns 72 this year that is married with a spouse that is less than 10 years younger than them (who is also the sole beneficiary of the account), would divide their 401(k) balance from December 31st of the previous year by 25.6 to get their required minimum distribution for this year. If your 401(k) balance was $500,000 you divide by 25.6 and get $19,531.25 as your required minimum distribution. Your RMD can change when you decide to start taking distributions based on what other accounts you have to pull retirement income from. If you have a Roth IRA or Roth 401(k), you need to consider whether or not you plan to leave an inheritance to your heirs. If you do plan to leave an inheritance, it would be much better to withdraw funds from your Traditional accounts now so that your heirs inherit as much as possible in the Roth accounts. The money you pass to heirs in a Roth account will never have taxes charged to it because you have already paid tax on your contributions. TIP: Do not plan to minimize inheritance tax unless you are 100% certain that you will have money to last you a life time; otherwise, it is better to minimize your own taxes and stretch your savings. You’ll leave the largest inheritance by passing on assets through Roth accounts, so pull from your 401(k) and Traditional IRA first. Make sure you are withdrawing at least the required minimum distribution starting in age 70 and 1/2. Rely on your pension and social security income in the beginning years of your retirement. Start tapping your 401(k) at age 70 and 1/2 (or earlier, if needed). If the stock market negatively impacts your portfolio right before retirement, try to withdraw as little as possible to give your portfolio time to recover. Try to get by with other sources of income, or take on a part-time job. If you need to withdraw money from retirement accounts, take it out from 401(k) or Traditional IRA (assuming that you are in the low tax bracket). What is an Early Withdrawal Penalty? You do not need to be 59 1/2 to withdraw from a 401K without penalty. If you are separated from service, you can withdraw at 55 without penalty.